A group of youth has been arrested and there are claims of physical attacks or ill-treatment. Number and Region: Five young men from Karzakan province. Names: Hassan Ahmed Hassan, Sayed Shbeir Makki, Hassan Mansour Ali, Jafar Abdalnabi Abbas and Hassan Makki Abbas. Defend International and Bahrain Youth Society for Human Rights are deeply concerned by reports that a group of young people has been arrested because of a security incident in the Karzakan province. Reports indicate that the security authorities surrounded the area, from which the demonstration would have take place on Friday, October 19, 2007. There have been a number of clashes between youth and the security forces. The Ministry of Interior issued a press release and published in daily newspapers that the security forces had arrested a group of young people while attempting to bomb a vehicle owned by State Security Forces. The family of the detainee Hassan Ahmed Hassan, age 17, visited him on October 26, 2007 at the detention center and was shocked to see the effects of physical attacks on Hassan's body. His father mentioned this and continued by saying that his son went to a restaurant nearby to have dinner. In the meantime the clashes between anti-riot forces and a group of young people started. His son ran to the nearest house to hide. But other four young men entered the same house. Security forces besieged the house and asked them to get out. As the young men refused, the officer in charge threw a sound bomb inside the house. Once they got out, Riots Fighting Forces arrested them and attacked them with wooden sticks. The story of Sayed Shbeir Makki, age 18, resembles what we already have seen above, with the simple difference that Sayed Shbeir was working when the clashes started. He closed the shop and wanted to seek his grandfather's house near the shop, but wasn't able to reach and had to run to the nearest house. Hassan Mansour Ali, 18 years old, was arrested with Hassan Ahmed Hassan in the same house. Jafar Abdalnabi Abbas, age 18, was accompanied by his cousin - detainee Hassan Makki Abbas, age 17 years, on their way to the beach. As the clashes turned ugly they decided to hide in the nearest house. Relatives of the detainees are quoted as saying that their sons have never been involved in criminal or civil violations. They also pointed out that the young men refused to sign fabricated confessions, and that prosecutors have not investigated yet in the detainees claims of being subjected to torture or ill-treatment. Accountability and putting an end to impunity for human rights crimes and The fear instilled in the victims to denounce these practices and abuses. 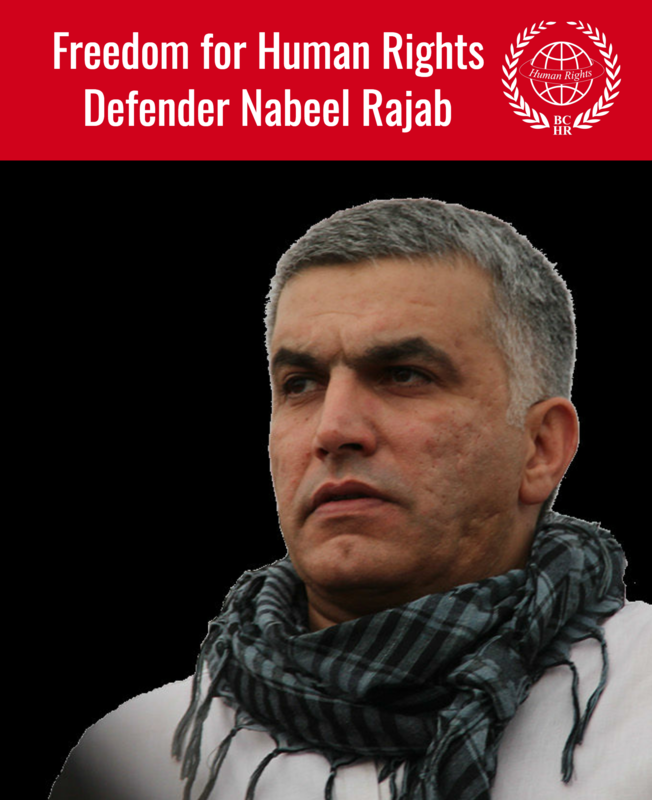 Conduct a thorough, independent, impartial and fair inquiry, at the earliest possible opportunity, into the behaviour of Bahraini forces and allegations of torture or ill-treatment in order to identify those responsible, bring them to trial and apply the penal and/or administrative sanctions as provided by law. 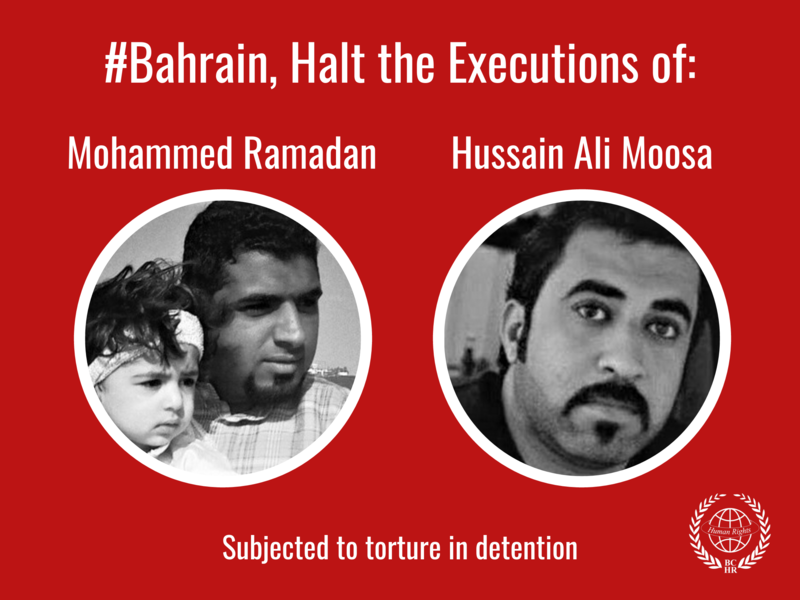 Ensure that detainees are treated humanely and in accordance with Bahrain law and international standards. Ensure the protection of individuals in the Karzakan province.